A trusted tool from the workshop can now be your next weapon in LARP battle. The Battle-Worn Big Bertha II Wrench has the look of a large, weathered wrench and is made completely out of highly durable, latex-free Calimacil foam. Hand detailing creates the darkened steel, battle scarred look. Because this finishing is done by hand, no two LARP wrenches are exactly same, each has unique details. Its Calimacil foam construction is virtually maintenance-free and incredibly resistant to wear and tear. 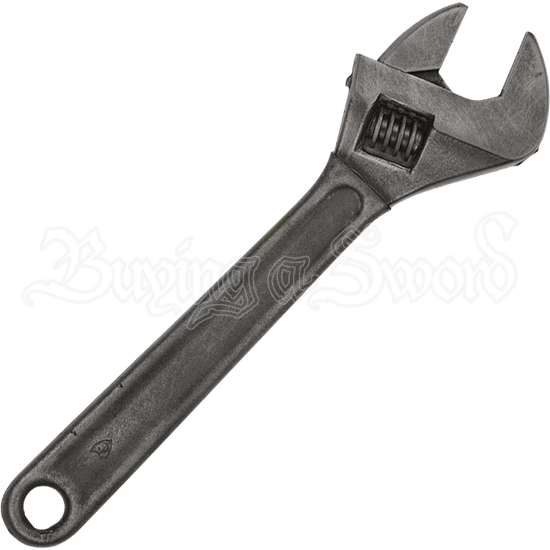 Great for zombie, post-apocalyptic, or modern-day LARP, this LARP wrench is a unique weapon to add to your arsenal.